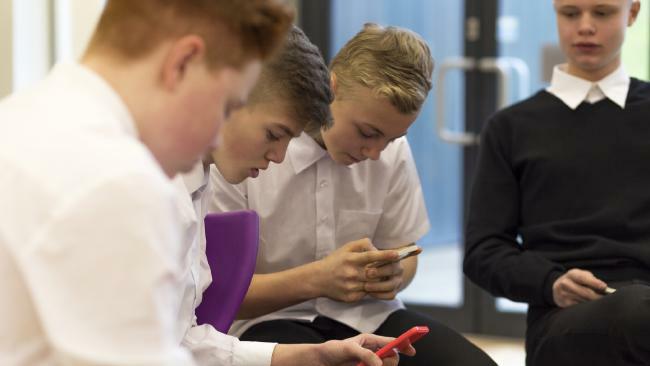 Should all schools ban the use of mobile phones? AUSTRALIANS love their technology but surely there have to be limits on how much we are all glued to our mobile phones. News that some Queensland schools are banning the use of phones to improve social behaviour of students and curb cyber bullying will no doubt create some angst among both pupils and their parents. Anyone who knows me, knows I love shiny new phones. But as I watch people fixated on these devices while they are at a meal with friends or even playing in a park with their kids, the realisation of how stupid it all is becomes super clear. We are losing the art of interaction, of talking to people, of facial contact, and the ability to read body language. One principal described a scene of seeing 30 kids with their heads down in their screens. Even when you go to the beach these days you see people spending more time trying to 'capture' the moment for an Instagram photo than actually enjoying it. Just this week a family of tourists with kids in tow, were literally filming as they walked down the stairs onto the beach. Their world view was that seen through a mobile phone screen. Another time, I saw a dad literally screaming at his son to catch a wave so he could get it on the GoPro. I'll be honest. I can be just as bad. I love taking photos and videos of beautiful scenes on the beach. But I've also reminded myself to enjoy the moments. Often the best way to do that is to the leave the phone in the car. For school children, having a mobile phone at school is not only a distraction but it can also be a weapon for cyber bullying. Should mobile phones be confiscated as students arrive at school? This poll ended on 17 June 2018. Apart from emergency contact with parents (which can be done through a school office), why would our kids need a phone at school? What concerns me most though is how many of them are beginning to measure their self worth or popularity by the number of likes they get on a Facebook or Instagram post. It's ridiculous, but there's times where I find myself doing the same. I wonder how much of the real world we are really missing as we scroll through our feeds of others, often seeing the same stuff regurgitated on Facebook or Insta. Today I might just go to the beach after work without my phone - and stop to talk to people. That could be a nice reality check. Australia has a $37 billion technology obsession: Queenslanders are spending 4 – 5 hours online every day, and more than $2,440 per person per year . 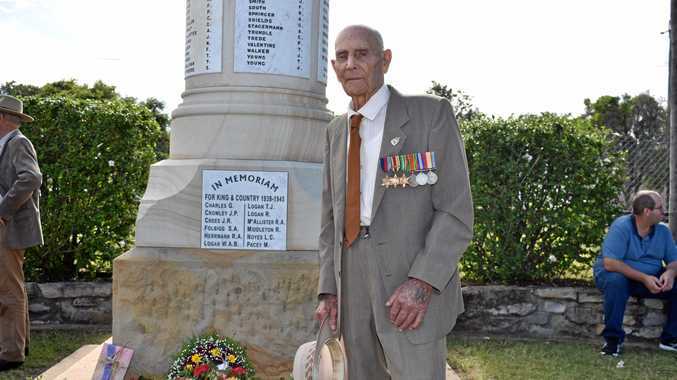 News Mr Logan was 19 when he received a telegram to say his older brother, T.J Logan, died during battle in New Guinea.